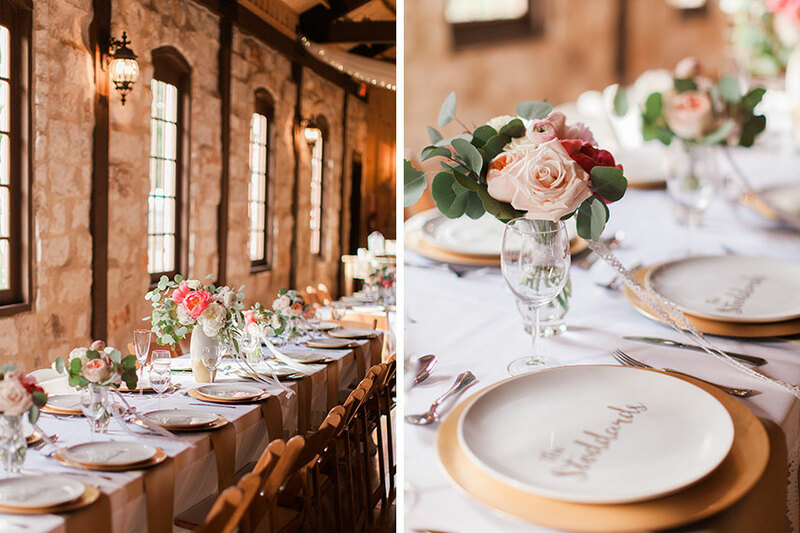 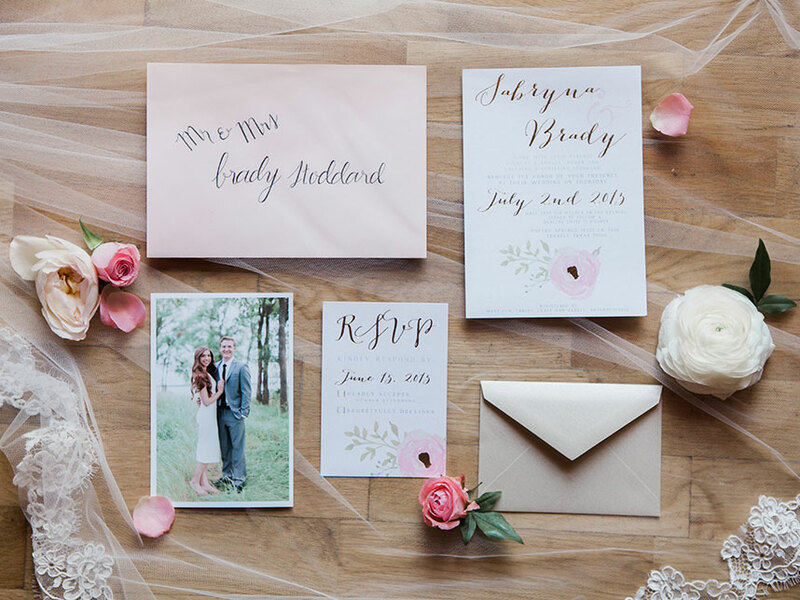 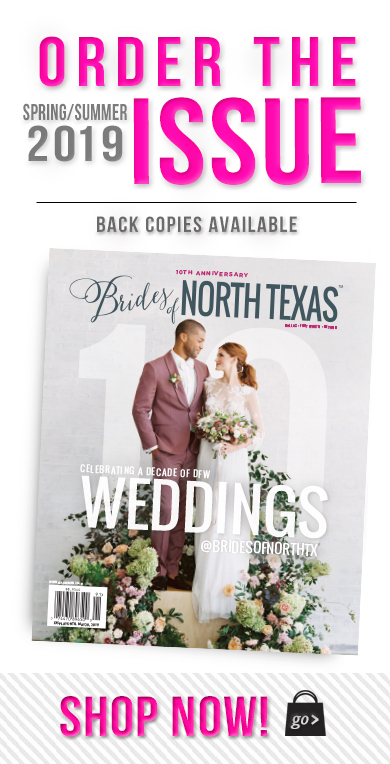 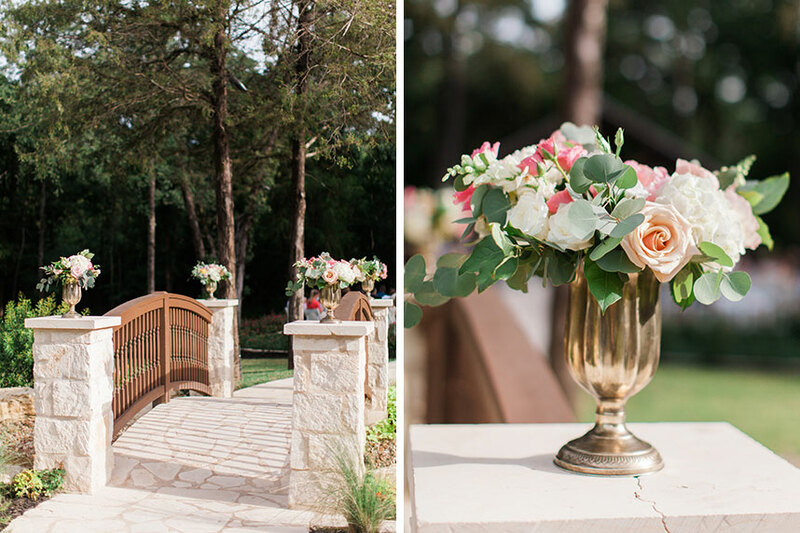 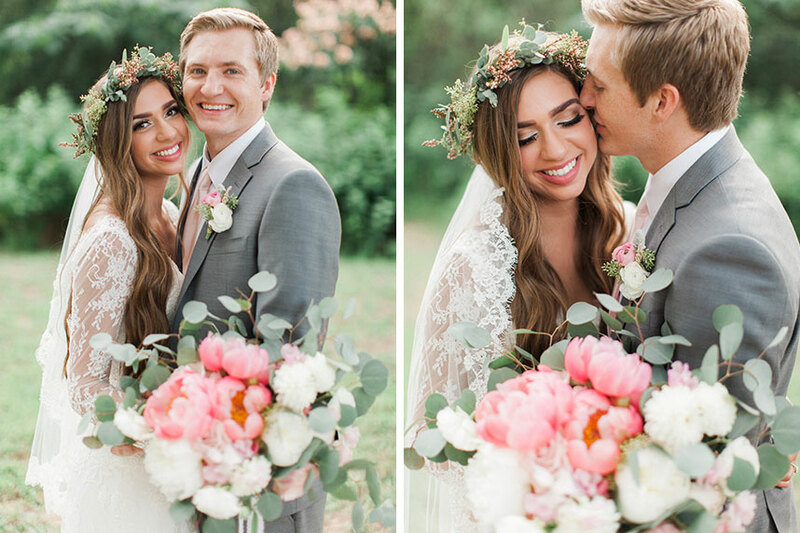 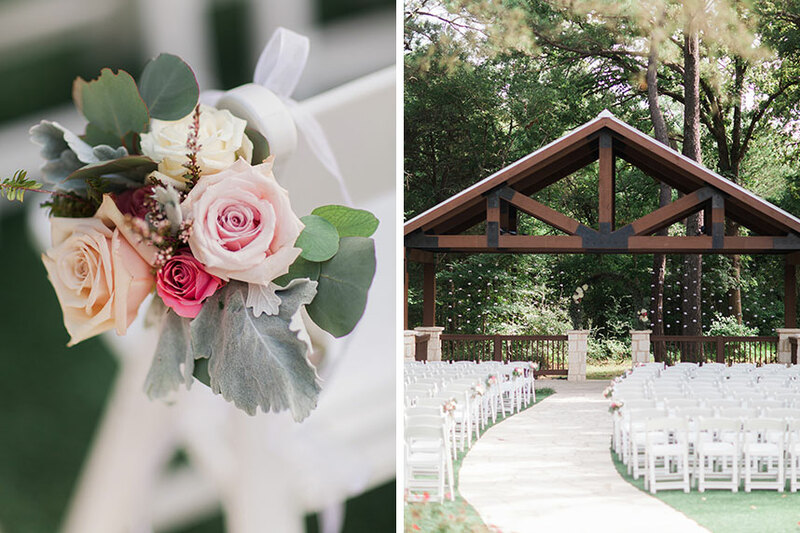 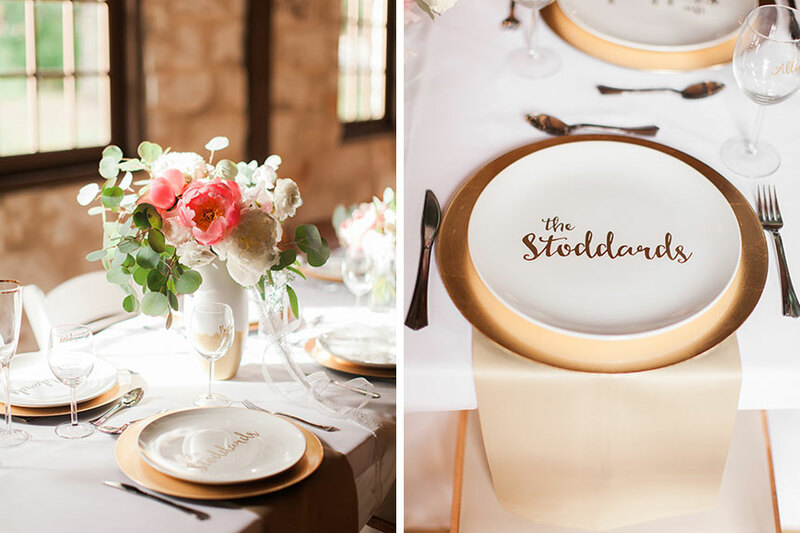 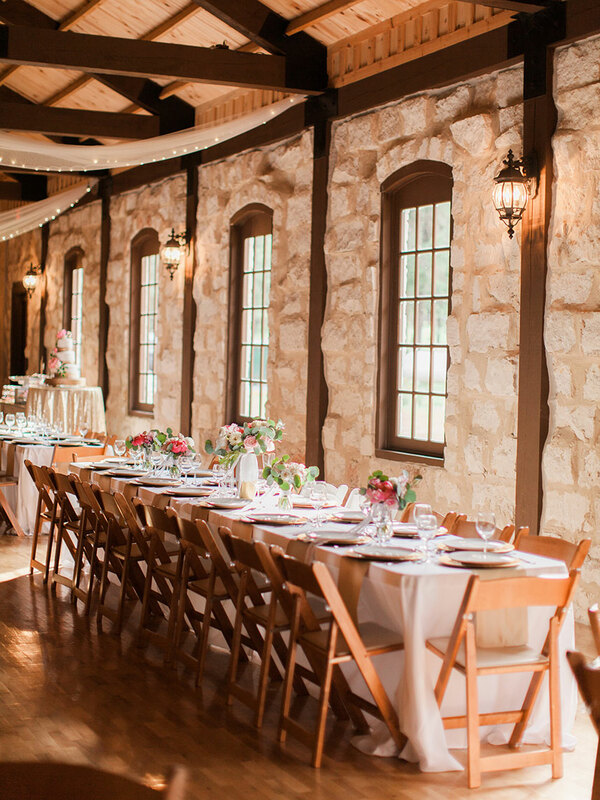 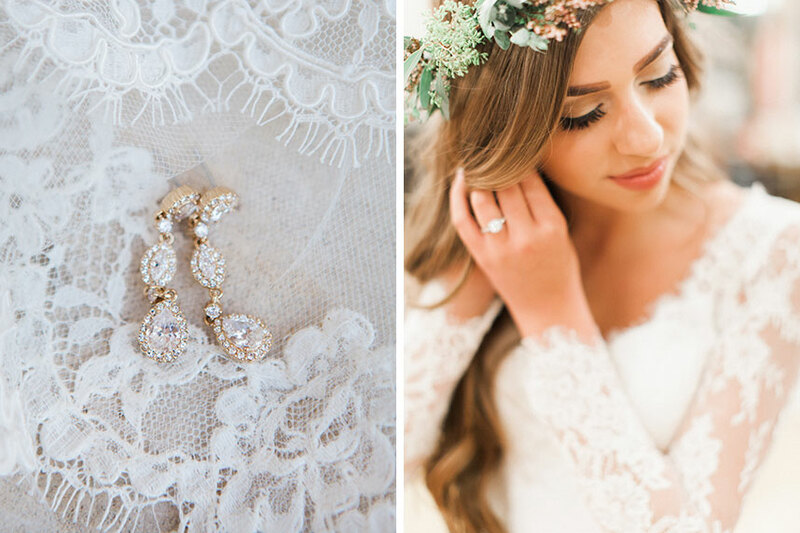 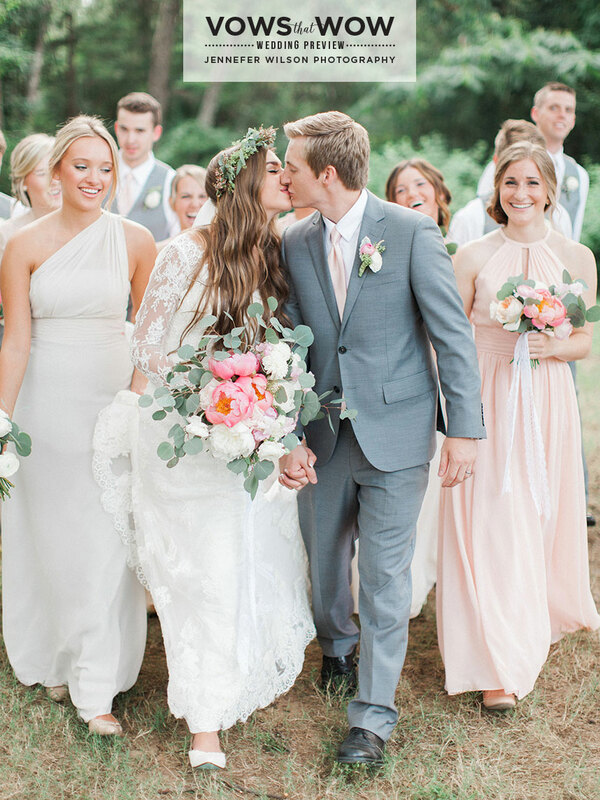 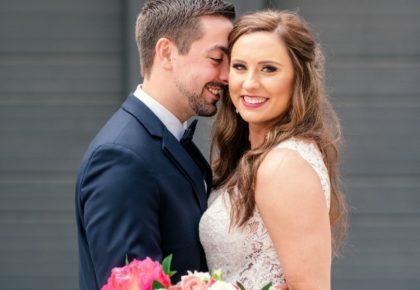 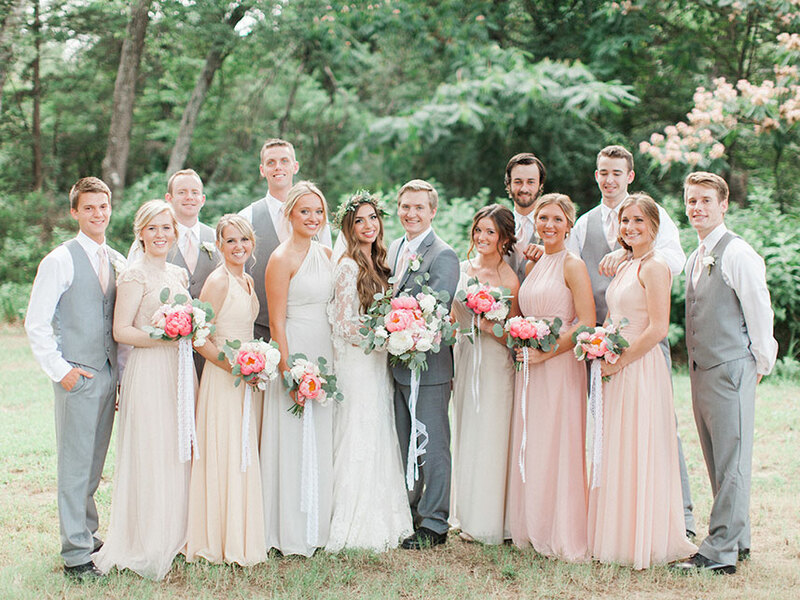 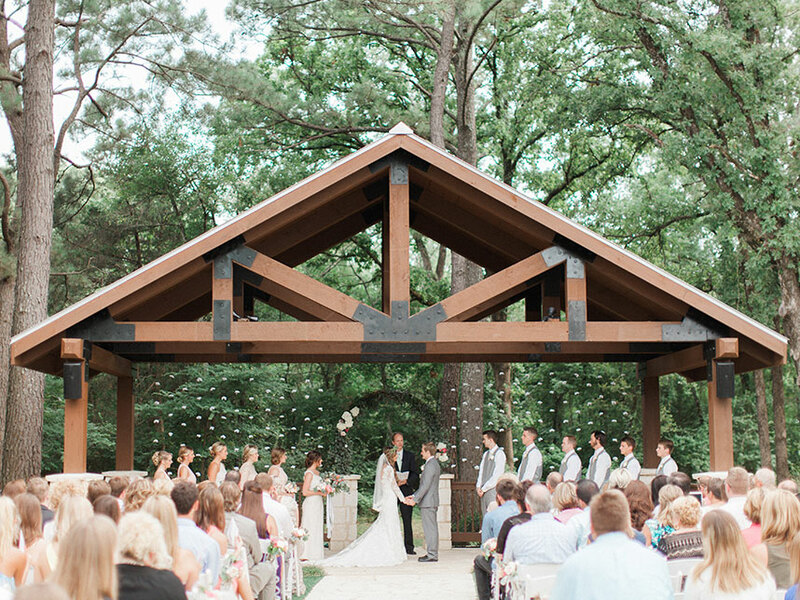 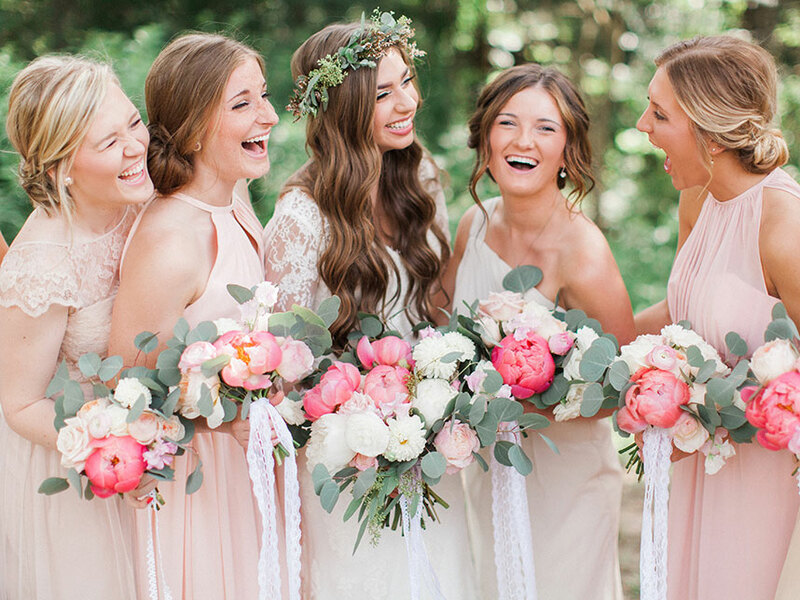 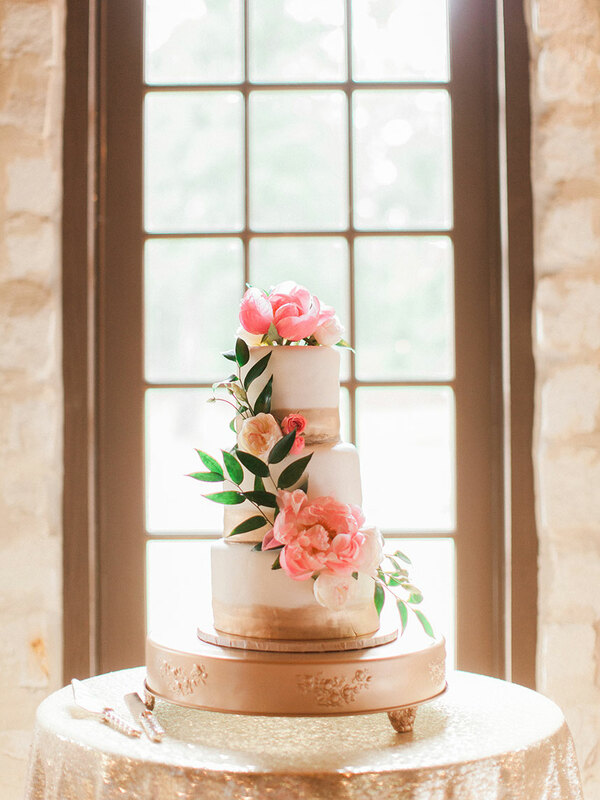 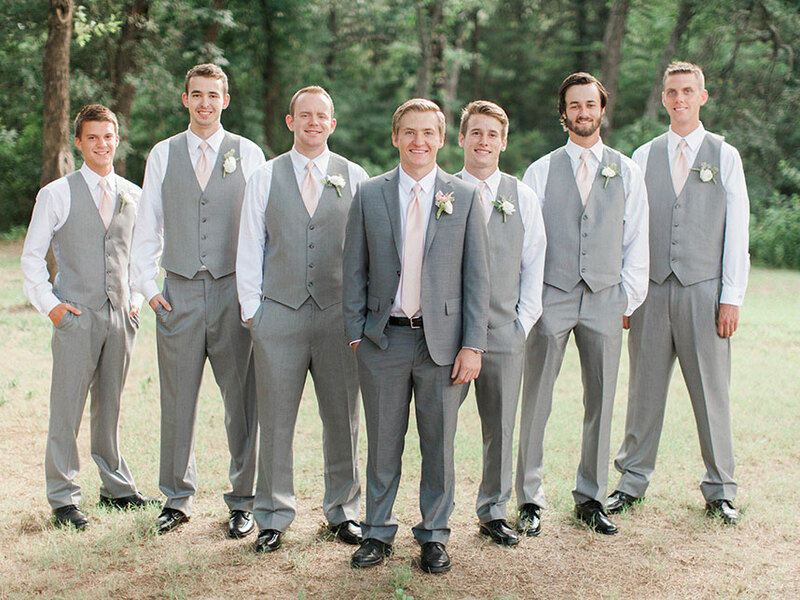 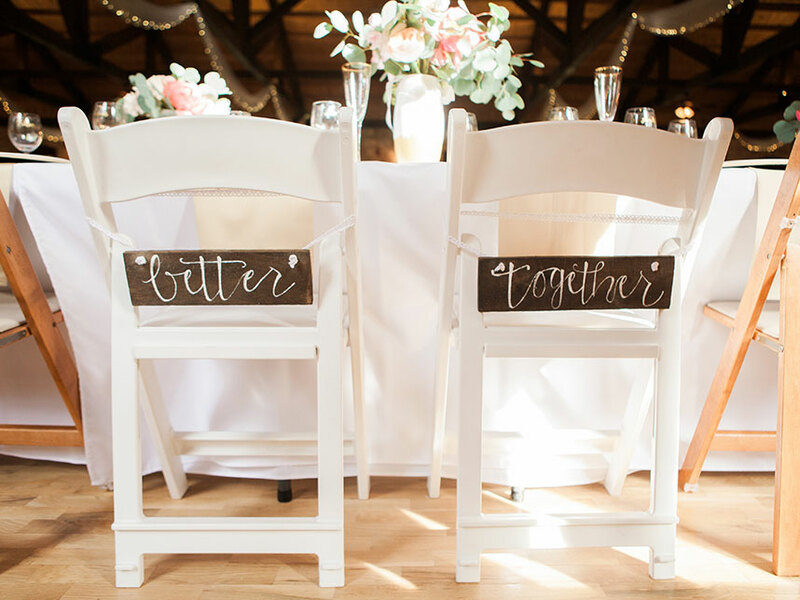 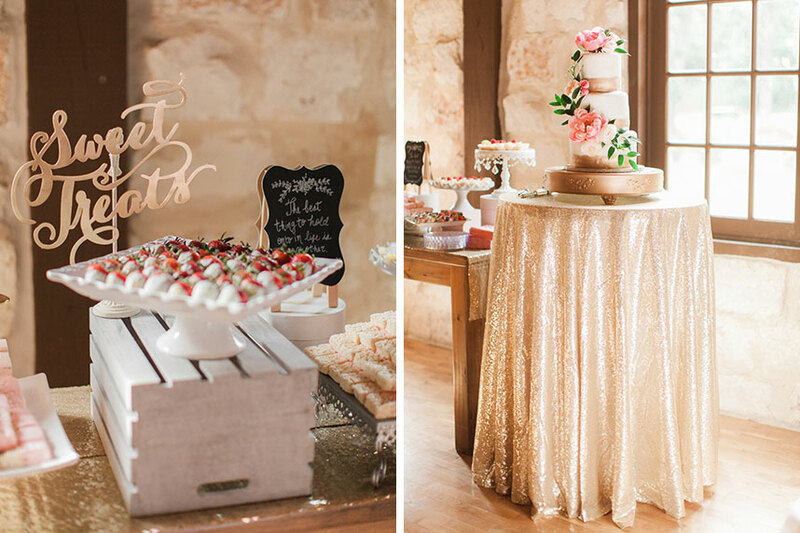 We are absolutely head over heels for Sabryna and Brady’s breathtaking rustic North Texas wedding at Poetry Springs – the perfect venue for a day of natural romance! 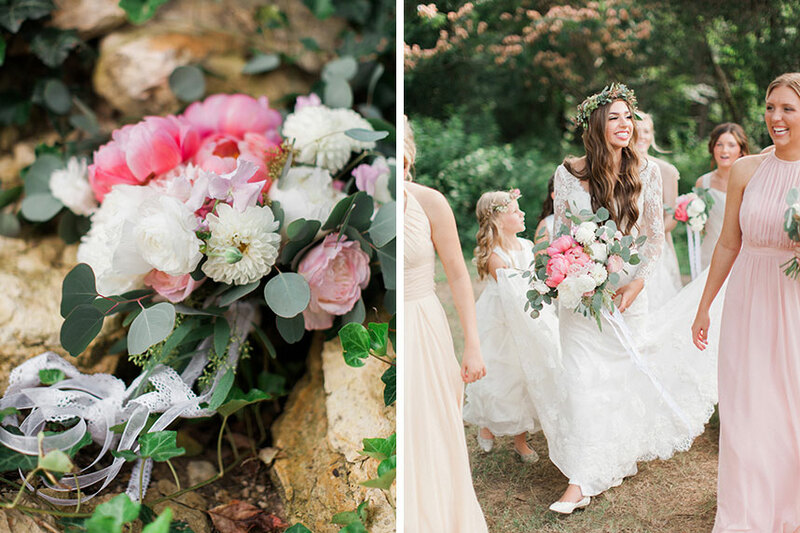 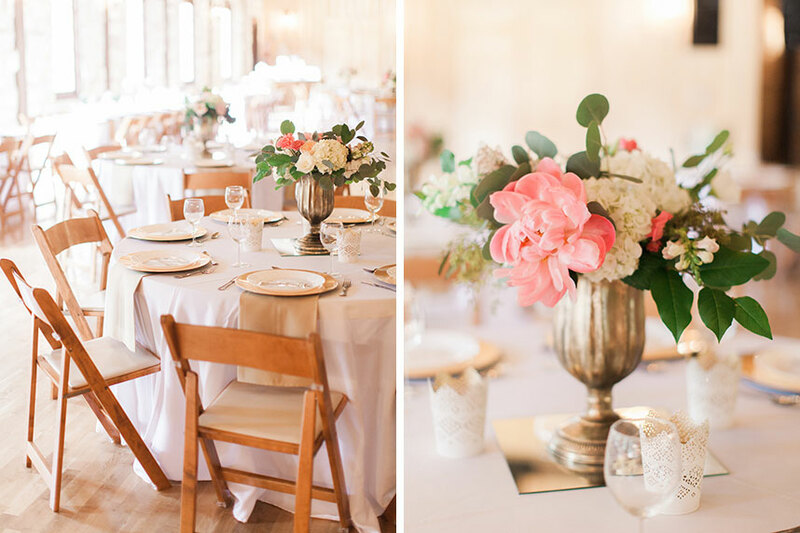 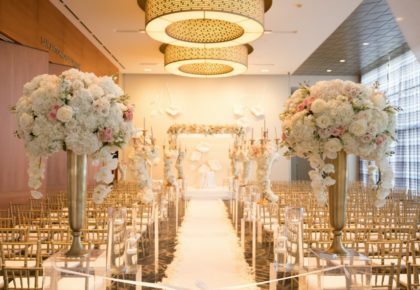 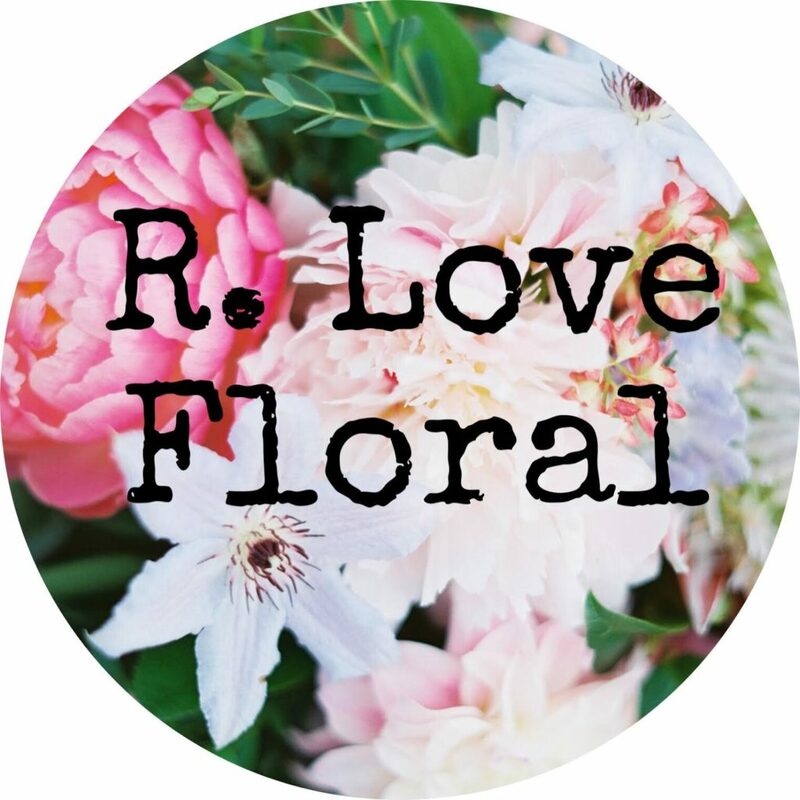 We’re in love with the gorgeous florals from R Love Floral, especially Sabryna’s bouquet which was a beautiful mix of coral peonies, white dahlias, blush pink garden roses and hints of ranunculus and silver dollar eucalyptus. 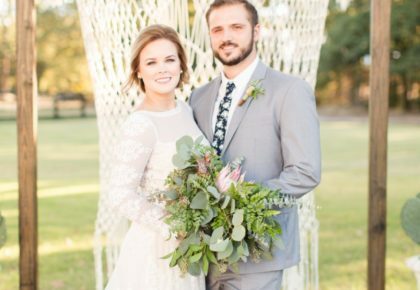 And of course, the bride looked absolutely stunning in a gorgeous long-sleeve lace gown from De Ma Fille. 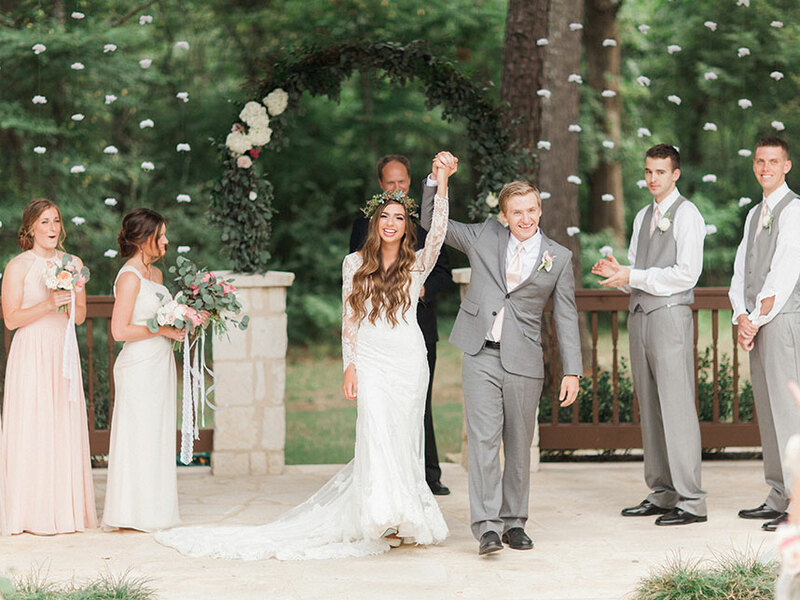 Cheers to Sabryna and Brady!